I’ve always been very sensitive to scents. I usually remember different trips and moments in my life by their scent. And unfortunately there is still no invention to save a scent from a place and bring it with you. Instead I use perfumes to remember certain moments in my life. And some just because they make every day feel a little bit better. So here is a little dive into my perfume collection. Orchidée Vanille is a beautiful warm vanilla scent that smells like freshly baked cookies or a cozy home. The scent sticks around for a very long time, especially if you spritz it in your hair. I usually mix this one with a bit of Wood Sage and Sea Salt that is a lighter Cologne that gives it a bit of freshness as well. Wood Sage and Sea Salt is one of the few scents that I never get annoyed at and that I always thinks smells absolutely delightful. I love it extra much around Christmas/New Years because I bought it for the first time in Copenhagen a couple of years ago so it reminds me of Mulled Wine (or Glögg as we call it in Sweden) in pubs, roasted almonds and fresh walks in the cold air. There are some perfumes that reminds you of a special trip or a certain moment in your life. I got two of them. I bought English Pear and Freesia in 2015 when Jonathan and I won a trip to Paris from Lóreal Paris. I had never heard of Jo Malone. (This was the time before Jo Malone, Glossier, the Sephora web shop and even Bioderma was available in Sweden… I know! Crazy right?!) You can say that I pilgrimaged to all of those places on that trip to Paris. I had been to Paris with my family 5 years earlier and gone past this beautiful Jo Malone store that looked so french and fancy (this was before I got interested in beauty so it’s not weird that I mistook it for french, not english). So this time I came by their store I just had to give it a sniff. I really loved both the English Pear and Freesia and the Peony and Blush Suede. So I took a paper strip of each and walked around on the streets of Paris, trying to decide which one I liked better. I ended up buying the fresher English Pear and Freesia and every time I smell it it now reminds me of walks along the Seine, eating crepes by the Eiffel Tower and eating onion soup and baguettes at a café together with Jonathan. 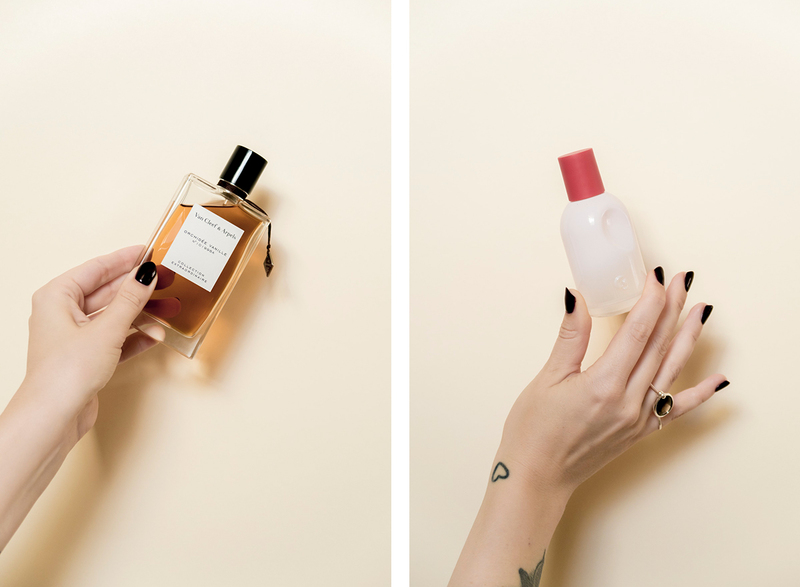 Then we all have some perfumes in our perfume collection that we really like but that’s not a staple or a perfume connected to a certain moment. 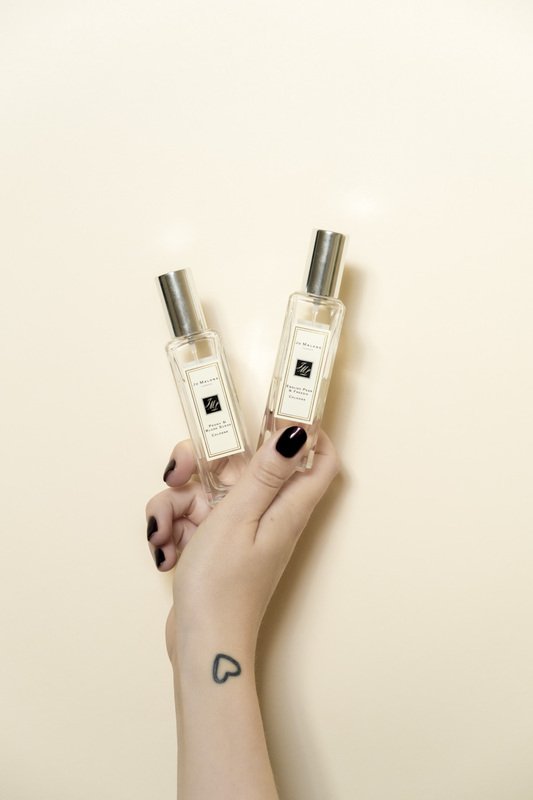 For me, they are for example Opium Noir, a beautiful christmas scent, Summer Fizz, the first perfume I ever got from my father, La Vie est Belle, a scent I really like but that often gets a bit too much for me and Si, a wonderful scent for when I’m in that kind of mood. And there you go, a quick little trip through my life in scents aka my perfume collection. 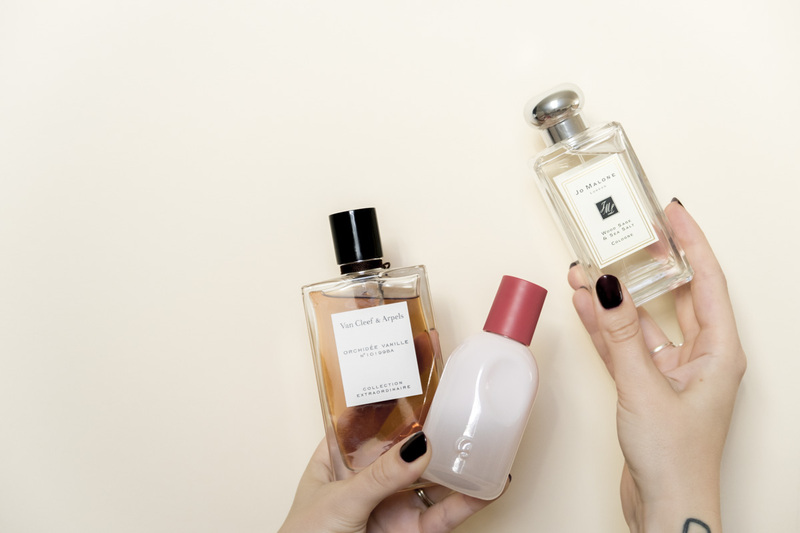 Which perfume is your go to?